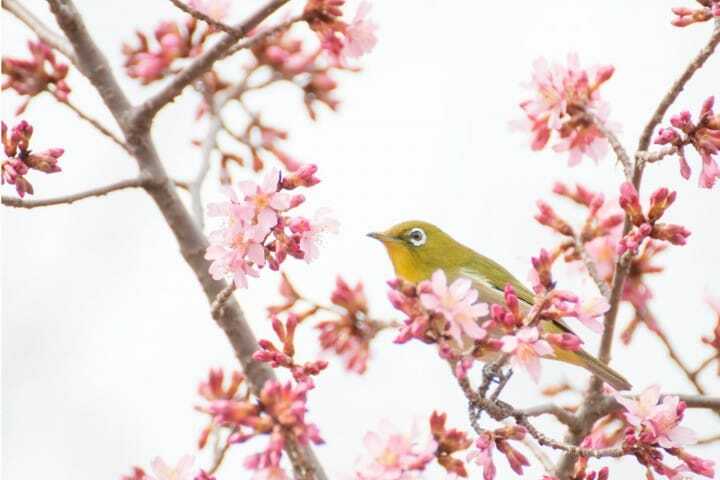 https://matcha-jp.com/en/127 The Symbol Of Spring: Why Do The Japanese Love Sakura? 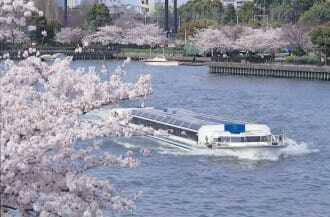 Spring in Japan can only mean one thing: the sakura are in bloom. But what is it that makes these flowers so universally loved by the Japanese? 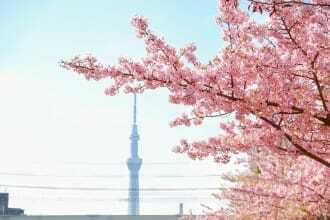 When speaking of the spring in Japan, you cannot help but speak about sakura or cherry blossoms. 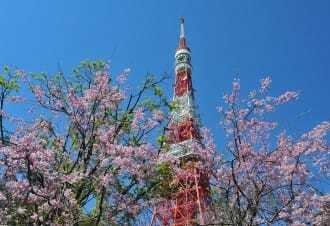 This article will focus on the many reasons why the sakura have come to not only represent the spring, but also stand as a national symbol of Japan itself. 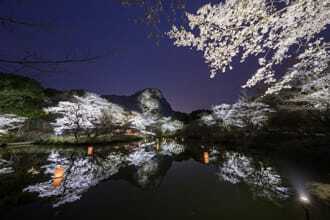 Beginning in the Heian era, the sakura were a steadfast theme of poetry, music, and art. This poem, written by the famous Ariwara no Narihira (*1), states that, if the cherry blossoms did not exist, he would not have been excited by the arrival of spring in the slightest; rather, he would have been able to enjoy a very peaceful, if dull, life. *1 Ariwara no Narihira: a Japanese courtier and waka poet during the early Heian period; he lived from 825-880. 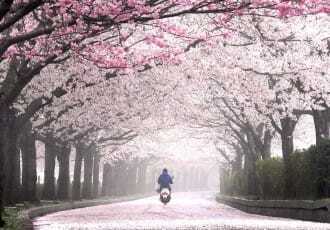 Japanese painters as well have taken great inspiration from the cherry blossoms. 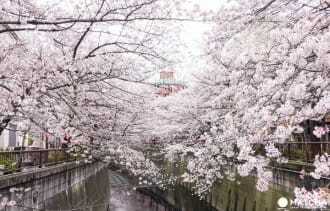 Despite their short blooming season of roughly ten days, sakura still captivate artists today. The love of sakura by the Japanese people is in no way limited only to artists and history buffs - it has even spilled over in the cuisine itself. Although it goes without saying that there are foods and drinks outside of Japan that are both visually and conceptually appealing, there are very few food cultures around the world that have adapted to include not only the flavor, but also the aroma and flower itself. These mochi snacks, fusion cakes, and other delicacies are treats that can only be found and enjoyed during the sakura season as well, making them all the more precious to gourmet hunters and foodies. It is said that having a cherry blossom viewing party or hanami, first became a custom in Japan about a thousand years ago. 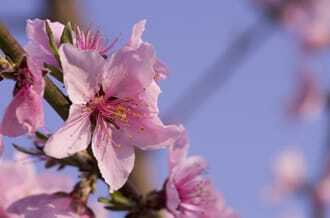 According to some historians, hanami were held throughout the year as a means of praying for rich harvests - in fact, the blooming of the cherry blossoms was thought to inspire the start of planting and harvesting seasons. 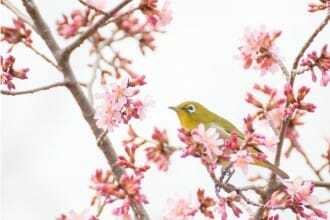 As hanami moved away from being a tool of the farmer into an activity of the nobility, however, the Japanese plum, or ume blossoms, were initially favored as the flower of spring. This is thanks in part to the influence of Chinese court culture. Gradually, the sakura slowly stole the spotlight however, as their pale pink and ephemeral blossoms were seen as symbolic of the transience of life and beauty. 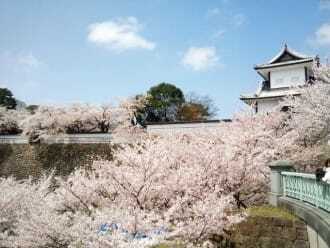 During the Heian era, the sakura sealed their position as the flower of the spring, when courtiers and other members of the nobility would sit outside and compose poems on various themes related to the blossoms around them. 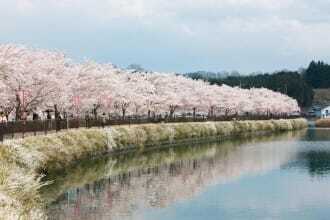 At this time, sakura trees began to be transplanted from the countryside into the capital, and were slowly introduced as ornamental plants throughout the nation. This culture, created by the nobility, remained in effect even after the unification of Japan and the age of the samurai. 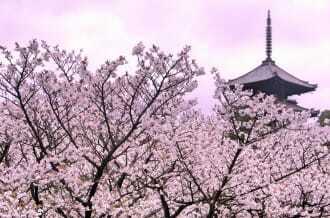 Toyotomi Hideyoshi, one of the great unifiers of Japan, order the transplantation of 700 sakura trees himself. 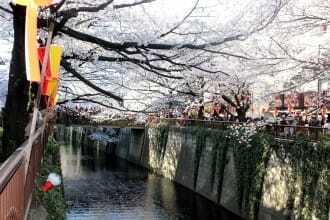 A mere six months before he died, he celebrated the sakura with a huge hanami with over one thousand guests. 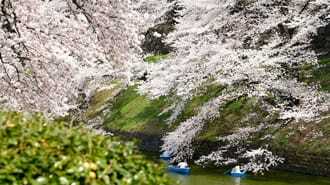 Known as the ‘Daigo no Hanami’, it is considered one of the most famous spring events in Japanese history. 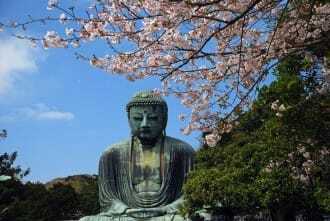 Daigo refers to Daigo Temple, in Kyoto, and it is said that the priest of this temple organized this hanami in order to lift the spirits of Hideyoshi, who was nearing the end of his life. 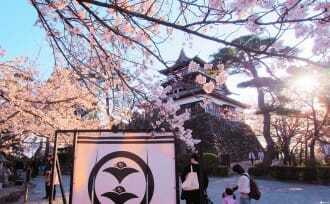 As the Edo era began, hanami evolved once more into an event enjoyed by people of all levels of society. 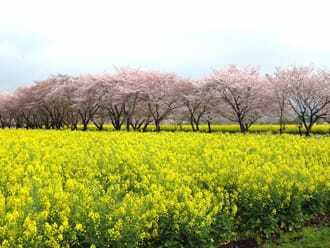 The breeding of sakura trees become popular as well, and it was during this time that many of the varieties of sakura seen today came about. 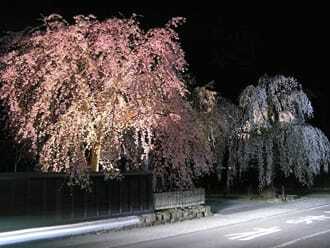 Of particular note are the somei yoshino cherry trees, which quickly became the most popular and commonly seen type of sakura in Japan. 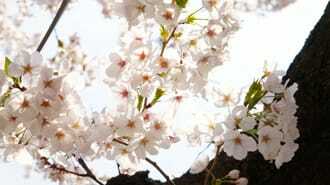 What Makes Sakura So Beautiful? 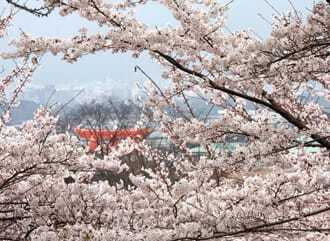 Perhaps the first thing that people notice about the sakura is its color: the subtle shades, ranging from pure white to soft pinks and vivid magentas, seem to match the character of the Japanese. 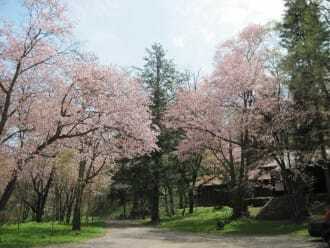 When stepping back and looking at a cherry tree from a distance, it almost appears to be a pinkish cloud, just barely floating off the ground. This fantastical image draws you in, captivating the imagination and inviting its viewers to relax. Although the sakura do come in some very bright colors, it should be pointed out that the subtle pink blossoms are far and away the most popular of all. In the language of flowers, sakura are said to represent innocence and the spirit of beauty, as they bloom quickly, live for a short time, then quickly fall away. This transience is part of their appeal. Furthermore, the graciousness that this lifecycle represents is also seen as being symbolic of the bushido or warrior spirit in Japan. Beauty, graciousness, transience, new life. 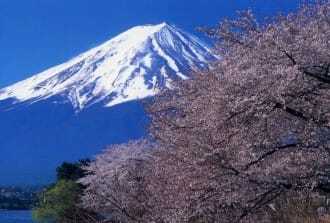 The sakura have been the flower of the spring in Japan for these reasons. 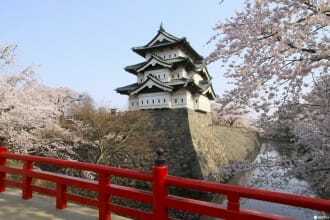 When visiting Japan in spring, please make a point of seeing the cherry blossoms at least once, the sight of them may inspire new understandings of Japanese culture, or of your own beliefs. 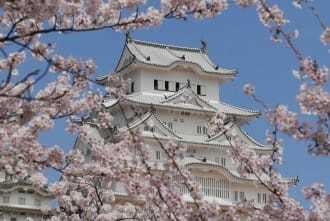 The Best Cherry Blossom Spots In Kanazawa - Sakura Viewing In A Castle Town!